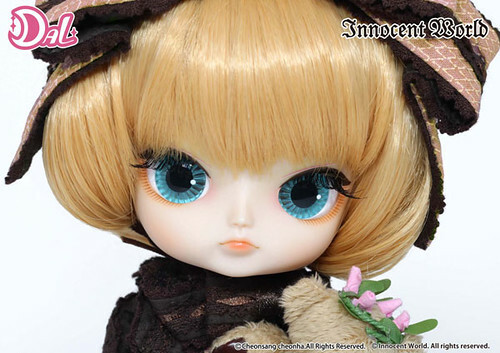 Dal Kleine is a part of the second collaboration series with Japanese clothing brand Innocent World along with Pullip Fraulein. 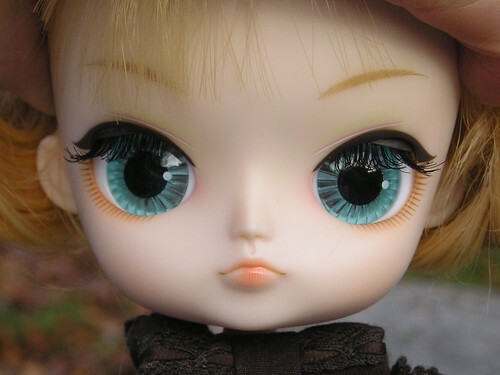 Feel Like So: Don’t treat me like baby… Mr. Bear and I are grown ladies!! 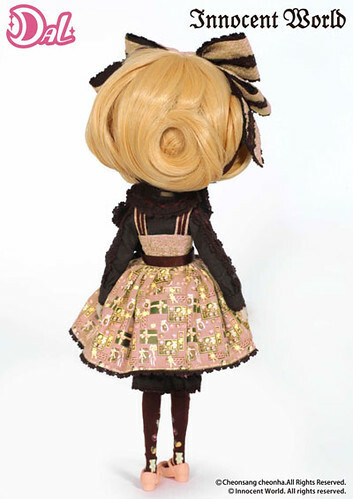 Wig: Blond wig sewn into a styled up hair style. 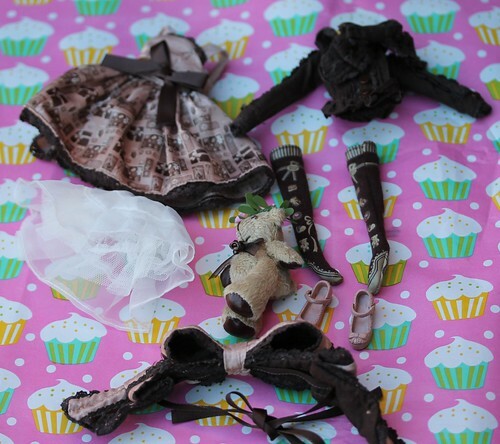 Stock: Klein’s stock includes a blouse, jumper, petticoat, bloomers, socks, shoes, head dress and teddy bear. Please note this photo is missing her bloomers which are the same dark brown color as her blouse.